Two independent and reliable sources have confirmed to us that Google is planning a new Pixel laptop to be released in Q3 2017. 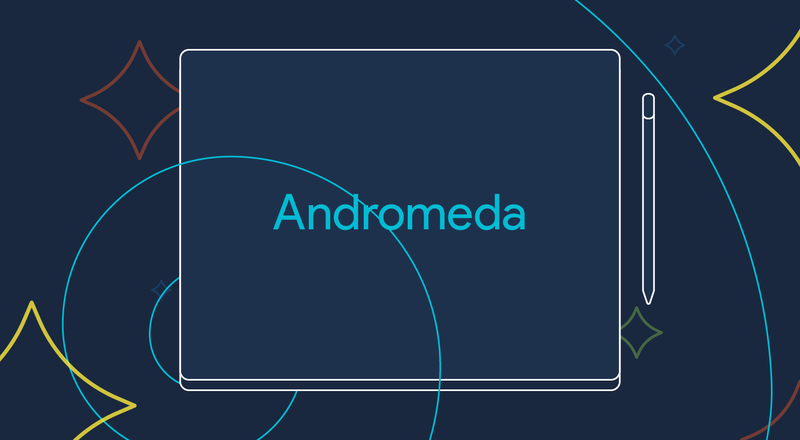 The project, known internally as 'Bison' and by the informal nickname 'Pixel 3,' will likely be the first brand-new device to showcase Google's combined Android / Chrome OS 'Andromeda' operating system in a laptop form factor. Bison, then, would be the culmination of years of work by Google's Pixel team and Google's Android and Chrome OS teams. But before we get into details, let's discuss our confidence in this rumor. Unfortunately, this one is tricky. We are unable to share any primary source materials, including renders of any hardware. We also believe Bison's specifications, while we will provide them, are very much subject to change. Given it's a year or more from its planned release, Bison could evolve substantially or even be cancelled - so we want to be absolutely clear when we say that specifications are not set in stone. Let alone Bison's release being a certainty, especially if Andromeda runs into delays or the OS project sees a change of direction. But we're going to share what we can today, because it's just too interesting not to. And despite all of our asterisking in regard to future uncertainty, we are exceptionally confident that the information and sources we're working from are legitimate and trustworthy. As such, we're not assigning a number to this one - it's just not a good fit for that system. So, let's dive in. Bison is planned as an ultra-thin laptop with a 12.3" display, but Google also wants it to support a "tablet" mode. It's unclear to us if this means Bison will be a Lenovo Yoga-style convertible device, or a detachable like Microsoft's Surface Book, but I'm personally leaning on the former given how thin it is. Powering it will be either an Intel m3 or i5 Core processor with 32 or 128GB of storage and 8 or 16GB of RAM. This seems to suggest there will be two models. It will also feature a fingerprint scanner, two USB-C ports, a 3.5mm jack (! ), a host of sensors, stylus support (a Wacom pen will be sold separately), stereo speakers, quad microphones, and a battery that will last around 10 hours. The keyboard will be backlit, and the glass trackpad will use haptic and force detection similar to the MacBook. Google plans to fit all of this in a form factor under 10mm in thickness, notably thinner than the aforementioned Apple ultraportable. Given the MSRPs of past Pixel laptops, you might expect this is shaping up to be one costly little device, and while not cheap, Google's planned pricing is still competitive: Bison is pegged to start at $799. As I said, the Wacom stylus would be sold separately, and Google is aiming for a retail launch in Q3 2017. And by the time Bison launches, Google wants to be ready to showcase Andromeda running a variety of enterprise, developer, and stylus-driven apps on the device - a way to argue that Bison and Andromeda will create a laptop experience that is truly attempting to rival Apple and Microsoft. So, if you were wondering why there wasn't a fresh Chromebook Pixel for 2016 (and we have no reason to think one is coming on October 4th), this is probably the reason. Chromebook Pixels may well be dead as of next year - Andromeda is the way forward. What do Bison and Andromeda mean for Android, and for Android phones and tablets? Well, right now: probably not much. Google will announce its Pixel smartphones on October 4th, and they will be running Android 7.1. Google may well tease Andromeda at this event. But the Pixel and Pixel XL, Google Home, Google Wifi, Daydream View, and the new Chromecast Ultra will likely remain the focus on that day, even if an Andromeda demo manages to steal the show. Here in 2016, Google is attempting to paint a vision of a united hardware front inside the company - to legitimize the idea that Google can build consumer hardware products to compete with the likes of Apple and Samsung (at least hypothetically). Andromeda will still be off on the horizon, but there's no doubt it's a huge piece of Google's long-term strategy puzzle. But this same time next year? I think it's likely we'll see Google show us the first laptop with the power of Android and the best of Chrome OS, a truly watershed moment for Android and Google. Whether the resultant operating system, even if it is largely powered by Android underneath, will still be called Android isn't something I could hope to guess at. Maybe Google doesn't even know. But as to what it means for Chromebooks? I think the Journal had it dead on a year ago: Chrome OS and Chromebooks (perhaps with a new name) will continue, but Android with Chrome OS features baked-in, aka Andromeda, is the new hotness, and will mark a major shift in Google's OS strategy. All I can say is I really hope we get a taste of what that future looks like next week.